The opioid crisis is certainly at the forefront of our country’s current health agenda. On March 1, President Trump hosted the White House Opioid Summit, an event designed to discuss proposed policies in response to the opioid crisis. The increasing national spotlight on combatting the opioid epidemic is becoming clearer by the week. The continued influx of attention and urgency in Washington surrounding the fight to end the opioid epidemic is heartening for stakeholders. Over the course of the last six months, Washington has shone a growing spotlight on the national opioid epidemic, in part as evidenced by the growing number of hearings taking place in both the House and Senate. The Energy and Commerce Committee has spent the last several months developing bipartisan ideas to fight the opioid crisis into legislative language – a priority that initiated with a historic “Member Day” in mid-October, where members shared constituent and personal stories to highlight the gravity of the epidemic. Since then, the committee has continued to focus on ways federal legislation can help promote prevention and treatment strategies, address patient safety and privacy concerns, encourage smart law enforcement involvement and support new research initiatives on the effects of opioids. Concurrently, the committee will continue pursuing investigations into wholesale distributors of opioid medications. View the hearings at the Energy and Commerce Committee website. The Ways and Means Committee has hosted three hearings focused on fighting the opioid crisis since the start of the New Year, alone. As the W&M Committee has jurisdiction over Medicare, these hearings have focused on ways to protect Americans who rely on Medicare from opioid abuse, addiction and overdoses while ensuring that those who need access to opioids are not unduly denied access. View the hearings at the Ways and Means Committee website. The Senate Health, Education, Labor and Pensions (HELP) Committee has hosted almost 10 hearings examining the impacts of the opioid crisis in the past several months. Topics have included the roles of technology and data in treating opioid addiction, the impact of the crisis on children and families, an examination of state innovation methods and author Sam Quinones’ (author of Dreamland) evaluation of how the opioid crisis originated. View the hearings at the Senate Health, Education, Labor and Pensions Committee website. The Education and Workforce Committee has also been working to determine solutions to minimize the impact of the opioid crisis on schools, workplaces and local communities. Two hearings allowed members to hear from employers, educators, community leaders and addiction/recovery experts on how opioid abuse is affecting the education sector, the workforce and communities at large across the country. View the hearings at the Education and Workforce Committee website. 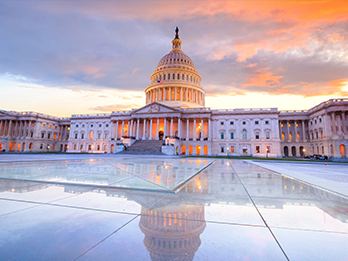 In addition to the hearings taking place among federal lawmakers, key agencies like the Centers for Medicare and Medicaid (CMS), SAMHSA and the Food and Drug Administration (FDA) have reached out for stakeholder input on ways to combat the epidemic from all fronts. Furthermore, private organizations are also taking an active role in continuing the dialogue between experts and policy makers. Some recent events have included: “The Opioid Crisis: Crucial Next Steps” hosted by Politico, “America’s Opioid Epidemic: Supporting Recovery” hosted by The Hill, “What the health is going to happen in 2018?” hosted by the Kaiser Family Foundation and others arranged by AXIOS, AEI and AJAX. Policy makers, experts and leaders continue to collaborate and work to find practical and effective solutions to put an end to this public health crisis. Numerous bills have now been introduced, and Congress hopes to pass a comprehensive opioid package by Memorial Day. Centerstone policy staff monitor these hearings closely and provide timely suggestions and comments to committee member staff in advance of hearings, where appropriate. These hearings further enable Centerstone to determine top advocacy priorities. Keep up-to-date at our Legislative Advocacy page.